On the tenth day of the XL Blizzard Series on 888poker, players competed in three new tournaments with the XL Blizzard #28 - $30,000 6-Max as the highlight of the day. The $16.50 buy-in Mini edition and a $55 buy-in Late edition started as well. 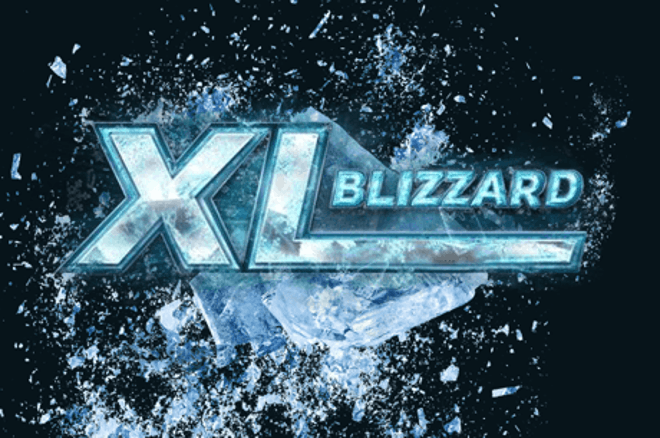 888poker's XL Blizzard Main Event with a massive guarantee of $500,000 starts tonight, at 7 p.m. GMT. Playing this event will cost you $250, but there are still plenty of opportunities to get in cheaper. The $50,000 guaranteed Mini Main starts at 8 o'clock as well and will cost you $33 to enter. The $5.50 Micro Main starts two hours later and has a guarantee of $15,000. You can follow the Main Event live on PokerNews.com with live updates and can read all about it in tomorrow's recap. But first, let's take a look at the results of Saturday's events. At 7 p.m. GMT, the XL Blizzard #28 - $30,000 6-Max started with each player receiving a 50,000 starting stack. After the late registration closed, there were 319 players. That made for a prize pool of $31,900, with a first-place prize of $7,656. After several hours, the tournament reached the final table. "pokerpal6" and "elhanna17 " busted in sixth and fifth place, receiving $1,436 and $2,071 respectively. "rashthecash" from Russia finished in fourth place for $2,712 and "GoinInDry" got $3,988. The final heads-up between Germany's "polomichi18" and Latvia's "Zluka2010" was won by the latter who secured $7,656. The runner-up had to settle for a respectable $5,279. Just like most events, there was a Mini edition of the 6-Max on the schedule. This tournament had a buy-in of just $16.50, and there were 1,047 players competing for a prize pool of $21,135. The final table was top heavy with all six finalists in this tournament securing themselves of $634 while the top prize was $3,594. That prize went to Canada's "Uncle_" after defeating "oTLIN" from Lithuania in the deciding heads-up. The Lithuanian runner-up received $2,695. A late winner was crowned in the XL Blizzard #30 - $15,000 Late 6-Max. This event attracted 244 players to create a prize pool of $16,150. This time it was Morroco's "zanzibar58" snagging the top prize after they won the event for $3,715. The Morrocan player defeated runner-up "modmod87" who finished in second place for $2,584.